SAJIDAH WRITES: Paranoid. I am. My baby is now 31 months old. 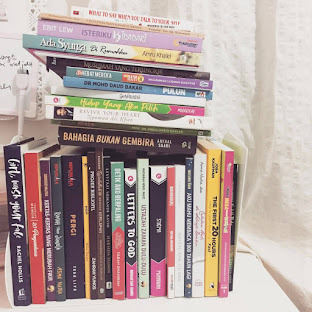 But looking back at my blogs (current and previous), I realized that I don't share much about my baby, motherhood, parenting or anything related to my status as a mother. It's not because I have nothing to say about it. I do have lots and lots of stories and experiences throughout my journey in raising my daughter. I just don't feel good to keep writing or sharing about each and everything that happened between me and my baby. Sometimes when I see my friends' blog/facebook/twitter etc, they make it very obvious that they are a mom (this is a compliment). And comparing me to them, I do really feel that I am less mom. I am not sure if you get it but I hope you do. Maybe some of you know that one time ago I did have a blog specially created for my baby. At first I granted access to friends that requested to read it. But after a few months, and after a few posts about the way I teach my baby, this and that tips of this and that, I began to feel afraid and uncomfortable. I told my friends that I am very sorry coz I need to delete them from my readers' list. And now, I no longer update it. I don't know why. Busy is not a valid excuse, ever. Have you ever got this bad feeling? A feeling of down or envy whenever you read about other people's lives? I admit that sometimes I do feel that way, especially when I read how others (usually my friends) share the stories of how they raise their kids, how clever their kids are, pictures of activities that they did together, the step by step guide for this and that bla3. Why I feel that way? Because it will make me think that I am a bad mom for not doing the same thing they did or not being able to give my baby the stuffs that others gave their children. It makes me doubt myself and ask, if I don't do like them, am I not good enough then? Are there mistakes and weaknesses in my way of teaching my kid? Maybe I am being too paranoid about it. I don't say it's bad for mothers to share their parenting journeys. In fact, it is a good thing to be done. To inspire others, to give ideas, to give new information and so on so forth. It's just that, as for me, I don't want to let people experience what I felt. I do share writings about motherhood, but I will try to not to make them as a story genuinely about me and my baby, instead I try to make it as a general article not personal. I don't want people to feel that they are not good enough. I don't want to tell things that in the end will make people feel demotivated for not being able/not having time to do things that I do. I really hate it if some mothers feel down when they see other kids are more advance in their physical or mental development compared to their kids. As for me, I would love to share about my stories, especially if you ask me personally. I rarely start telling people about what I did or gonna do with my baby unless someone requested me to do so. Maybe I feel shy or don't feel that what I've done is worth to be shared. Plus, I am very afraid that I might sound as if I am bragging or showing off about my life. Na'udzubillah. Honestly I am afraid. I don't know, maybe I think too much about what others will say. Or my level of being paranoid is getting higher. I admit that I always think complicated hence this rubbish post. Maybe I need to change the way I am thinking. I will, though. p.s. 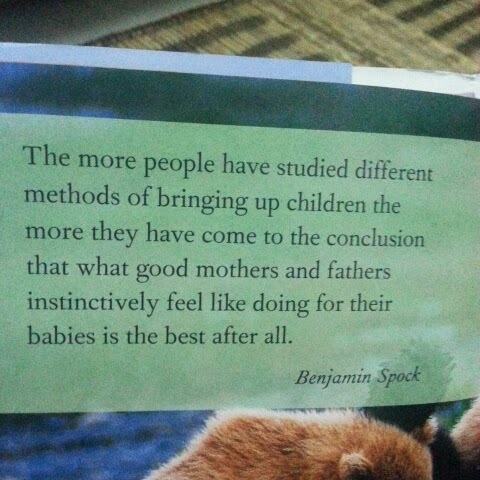 : Mothers, you are doing good. You are the north star of your kids no matter how others see you. Please never feel bad about your ways of teaching your kids, especially when it is due to what you saw others did. Just because you don't do what they do, it doesn't mean you are not good enough. Yes, we will probably make an abundance of mistakes, but that's where we learn to become a better mother.